The Perfect Gift That Lasts An Entire Year! 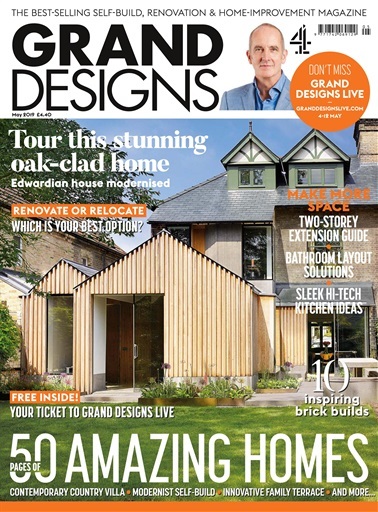 Why not give that special someone a fantastic gift subscription to GRAND DESIGNS magazine, straight from Channel 4's hit TV show. For only £16.99, 36% off the newsstand price, the lucky recipient will receive 6 issues delivered free directly to their door. Give the gift of GRAND DESIGNS magazine today! For gift subscriptions, order now and when prompted fill in the recipient’s name and delivery address. 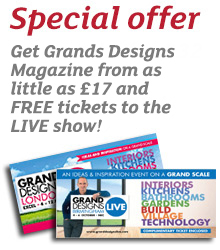 PLUS receive 2 free tickets to the Grand Designs Live Shows - 1 ticket for the London show & 1 ticket for the Birmingham show with an annual subscription. + Get 2 FREE tickets to the live shows!